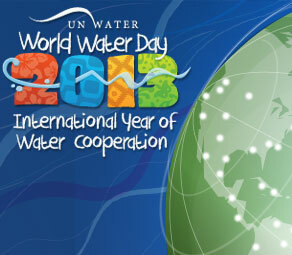 Friday, March 22, 2013 is World Water Day – it has been since the United Nations declared it so in 1993. As Denver and Colorado head into a seemingly imminent drought this summer, the typical global calls-to-action this day evokes may indeed be trumped by the need to act locally to conserve the world’s most precious resource. Denver Water has declared a stage 2 drought, which means mandatory water use restrictions for all its customers. Other water providers have made or will soon announce similar restrictions. At Denver Botanic Gardens, we are currently developing a plan to reduce our water use by 20 percent from previous years. This will entail reducing the frequency and run times for our automatic irrigation, watering during cooler times (evening and overnight) and turning off some of our water features. We’ll continue to showcase water-efficient gardening practices. Denver Botanic Gardens tries to lead by example when it comes to efficient irrigation and appropriate plant selection for this climate – with perhaps our best examples being the Water-Smart Garden and the Green Roof Garden at our York Street location. We urge homeowners to visit the Gardens throughout the spring and summer to get tips on how to practice water-efficient gardening in their own yards. While a declaration of “drought” may imply “crisis,” such moments can serve as a catalyst for sustained behavior change. Whether it’s modifying a landscape to incorporate more low-water-use plants or re-assessing indoor water use to become more water-efficient, there’s no reason the conservation-minded habits we develop now can’t continue beyond a drought. Perhaps the best resource for tips on both indoor and outdoor water conservation is the Alliance for Water Efficiency’s Never Waste website. Their household water calculator can show you how much water you’re currently using and how much you can save by making some simple changes. A plus: right now, you can purchase a “Never Waste” water bottle to carry with you to help beat the summer heat (and educate others in the process with the water stats and illustrations adorning the bottle).